Stan earned his MBA from LaSalle University. Stan is fluent in Spanish, having consulted in Central and South America as well as Europe and represented Spanish Speaking firms and clients all over the United States. 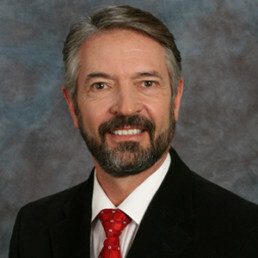 Stan Perkins is an Associate Broker and VP of Commercial and Investment Sales and leasing at NAI Excel. Stan has been in the Real Estate Industry for 35 years. His experience is extensive in Commercial and Corporate Real Estate acquisitions and divestitures, including the U. S. and International Markets as well as mergers and acquisitions. Stan has an understanding of the Commercial and Investment world that few could rival. With a worldwide view of business from both a consulting and ownership perspective, Stan can assist a wide spectrum of business and investment clientele, including farms and ranches, C-stores, small to large businesses, Real Estate Development, one-man office to large corporate leases and land and water use and regulations. Stan has been instrumental in the development and marketing of Tonaquint Center, a 700,000 sq. ft. commercial and High Tech Office Park on South Dixie Drive.